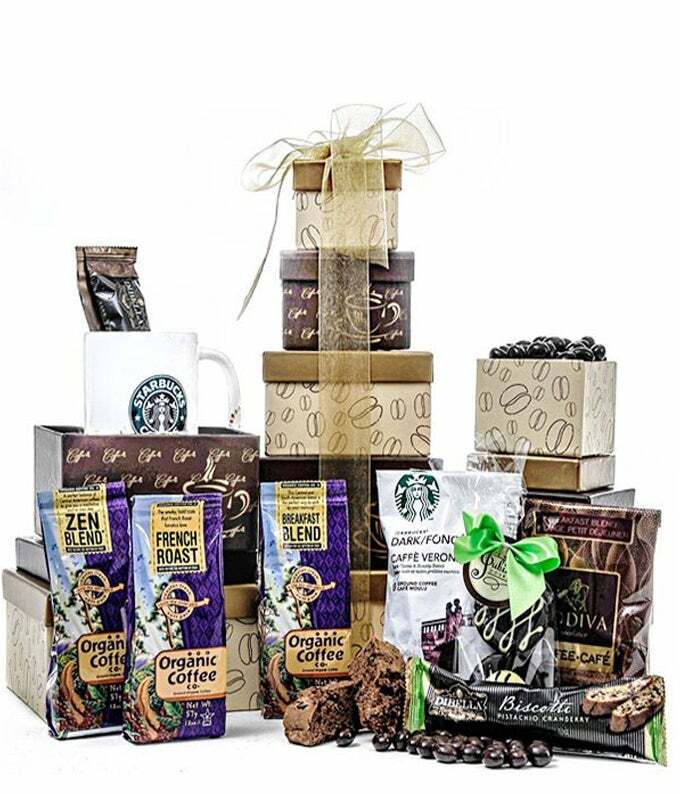 Make a home into a coffee haven with this basket full of Starbucks and goodies. Fill your home with the delicious aroma of coffee and nibble on biscottis and more without having to leave your home at all. Enjoy!